Wall Street wasn’t quite sure what to make of another dovish surprise by the Fed; the second so far this year. Whilst US stocks initially erased earlier losses, the rebound was short lived, and the S&P and Dow closed in the red. Even though Jerome Powell kept insisting that the economy was fine, the fact the dot plot now shows 0 rate hikes across 2019, the balance sheet reduction was cut short and the economic outlook was downgraded says otherwise. These actions from the Fed paint a distinctly less rosy picture. If the Fed had wanted to project a slightly more dovish tone, they could have cut rate hike expectations from 2 to 1 and pushed out the unwinding of the balance sheet until later in the year. The Fed’s moves were clearly more dovish than that. This has the markets now thinking that a rate cut could be just as likely as a rate hike by the end of the year. Markets are now pricing in just shy of a 40% probability of an interest rate cut by then end of the year. Asian markets pushed higher on the more dovish Fed. European and US futures are also pointing to a stronger start on the opening bell. The dollar initially dived 0.5% versus a basket of currencies and is clawing back some losses in early trade on Thursday. Given that the yen is also strengthening, the rise in the dollar could be down to risk aversion amid souring US – China trade relations. Attention now turns to the BoE which gives its monetary policy decision at 12:00 GMT. Due to high Brexit uncertainty, the central bank is unlikely to make any policy changes today or offer any strong future guidance. The UK is just 8 days away from a no deal Brexit and an extension to Article 50 still hasn’t been (and may not be) granted. As a result, the BoE’s hands remained firmly tied. We expect the central bank to touch on the severe economic consequences of a no deal Brexit. After the referendum the BOE cut rates to support the economy. 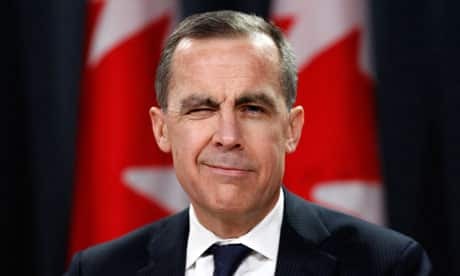 Given the the strong wage growth that the UK work force is now experiencing and its inflationary implications, especially were the currency to drop again, there is a chance that Mark Carney talks up the chance of a rate hike were there to be a No Deal. The general expectation is that there will be no fireworks from this meeting and for the market reaction to be muted. After rebounding from $1.3150 in the previous session, the pound continues advancing, but is by no means strong. A meaningful move through $1.3310 would indicate further upside to $1.3350 before 1.3385. Immediate support can be seen at $1.3150.